So lately i logged in the usual clan TS of mine and instead of showing that i am connected from Greece it shows now that i am from United Kingdom and i have massive ping , how can i fix this so my region will show Greece again ? Thx in advance . . . I can see the similar threads but I'm talking about my own client not the server . . .
Last edited by dante696; February 27th, 2012 at 10:27 AM. This thread is about about server and flags. and both need to be fixed on the same way, because we use the same databse for client and server (also weblist). You need to change the flag.I'm not from Bosnia and Herzegovina,I'm from Republika Sprska (Banja Luka). Last edited by florian_fr40; February 28th, 2012 at 07:21 AM. Country Flag Not Showing Up. Whenever I try connecting to different servers(as a guest), it seems that I am not able to see my country flag. However, on the TeamSpeak Public server, I can see my flag perfectly beside my nickname. Any ideas why this is happening? Would be helpful if someone could tell me how to fix this.. Also, I have searched forums on these types of problems before, but didn't see any solutions on how to fix it. We use a database for these flags and an old server means and outdated databse . We use an external service to resolve an Server IP and this database will be updated in the beginning of every month. Here is the way to solve this problem. We grab and use their updates, when we release a new server version. Okay, thanks for the reply. I will ask him as soon as I see him online again. You are definetly right about the server version, he currently has 3.0.1. My teamspeak 3 server is not showing up in web server list teamspeak . I don't know why , i want to show up in server list . I have an ip adress public , no firewall , server it's added in gametracker server list but in ts3 server list not . Last edited by dante696; March 8th, 2012 at 07:08 AM. In advanced filter section, "Show all" also selected. 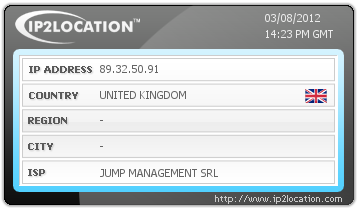 Well here is a bug , my ip adress 89.32.50.91 is hosted in Romania , and teamspeak have moved my ts server in united kingdom , why this? Please look at the top of this thread. Last edited by windcs; March 8th, 2012 at 02:34 PM. Teamspeak have done nothing, if you'd have read and followed up on post #2 you might be seeing the correct information. IP2LOCATION have changed country and city but my server still appears on united kingdom ,teamspeak should be interogate RIPE databases not ip2location . Last edited by dante696; March 9th, 2012 at 01:11 PM. This will be fixed with a newer server only! The database is build in our client and server and won't change, as long we do not relase a newer version. I for one like seeing the real location in the server list, it's especially useful if you're looking for a low latency server. If it's so important to you why not rent a TS3 server in Portugal?